In 2014, Toyama City was selected by the United Nations Sustainable Energy for All or SE4ALL as one of thirteen cities and regions as models for achieving the goal of energy efficiency. At present, Toyama City is known as “Environmental Future City” and “”Environmental Model City”. The SE4ALL sustainable development goals are: (1) Ensure universal access to modern energy services; (2) Double the global rate of improvement in energy efficiency; and, (3) Double the share of renewable energy in the global energy mix. The compact and energy efficient Toyama City, which is a government initiative with strong collaboration from the business and private sector, has the following features: (a) The more important functions of the city were concentrated at the center; (b) The transportation lines were so designed to give all the peripheral sectors access to the city’s center; (c) Public mass transport was efficient and functional which was referred by Toyama City residents over private transport; (d) The public transport system allowed Toyama City residents to move around to most parts of the city; (e) Subsidies were given to construction companies that built energy-efficient housing projects; (f) The is a bike-sharing system all over the city; and, (g) The main source of electricity of the entire city is derived from solar power. 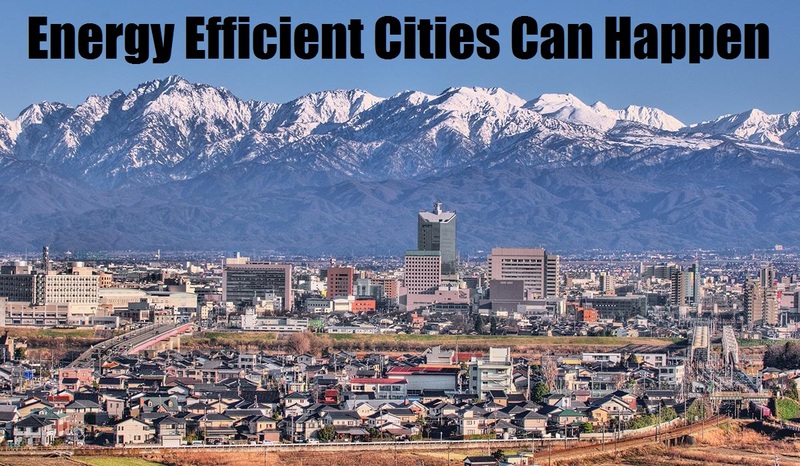 The Japanese people, particularly the residents of Toyama City have proven that designing energy efficient cities can happen.